Currency Converter: U.S. dollar - approx. 42.13Argentine peso - approx. 593Australian dollar - approx. 54.39Bahamian dollar - approx. 42.13Brazilian real - approx. 151.61CFA franc - approx. 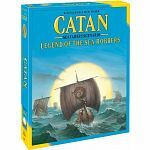 24,408CFP franc - approx. 4,440Chilean peso - approx. 27,989Chinese renminbi - approx. 272.82Colombian peso - approx. 126,440Croatian kuna - approx. 279.45Czech Republic koruna - approx. 1,006Danish krone - approx. 276.87East Caribbean dollar - approx. 113.33European Euro - approx. 37.21Fiji dollar - approx. 86.96Ghanaian cedi - approx. 161.35Guatemalan quetzal - approx. 331.63Honduran lempira - approx. 949Hong Kong dollar - approx. 326.75Hungarian forint - approx. 11,583Icelandic krona - approx. 5,216Indian rupee - approx. 2,799Indonesian rupiah - approx. 556,598Israeli new shekel - approx. 159.12Jamaican dollar - approx. 5,142Japanese yen - approx. 4,587Malaysian ringgit - approx. 165.46Mexican peso - approx. 735Moroccan dirham - approx. 407.47Myanmar kyat - approx. 49,532Neth. 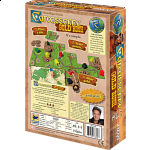 Antilles guilder - approx. 75.00New Zealand dollar - approx. 60.66Norwegian krone - approx. 346.09Pakistan rupee - approx. 4,415Panamanian balboa - approx. 42.13Peruvian new sol - approx. 137.91Philippine peso - approx. 1,946Polish zloty - approx. 160.40Romanian new leu - approx. 166.59Russian ruble - approx. 2,792Serbian dinar - approx. 4,579Singapore dollar - approx. 56.99South African rand - approx. 611South Korean won - approx. 48,248Sri Lanka rupee - approx. 6,119Swedish krona - approx. 342.14Swiss franc - approx. 40.60Taiwanese new dollar - approx. 1,362Thai baht - approx. 1,475Trinidad and Tobago dollar - approx. 278.01Tunisian dinar - approx. 84.70Turkish lira - approx. 119.79U.A.E. dirham - approx. 154.75U.K. pound sterling - approx. 29.52Venezuelan bolivar fuerte - approx. 421.14Vietnamese dong - approx. 947,193 * Exchange rates shown above are estimates only, and may vary slightly from the rates charged by PayPal or your Credit Card Company. Get the most points by placing your men on the landscape. 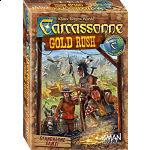 Carcassonne Gold Rush is a standalone game based on the universally acclaimed Carcassonne Board Game. People who purchased Carcassonne Gold Rush also purchased the following puzzles.